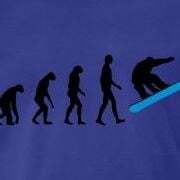 How is it this morning where you are? A covering of snow when I woke up. Melts a bit between showers . 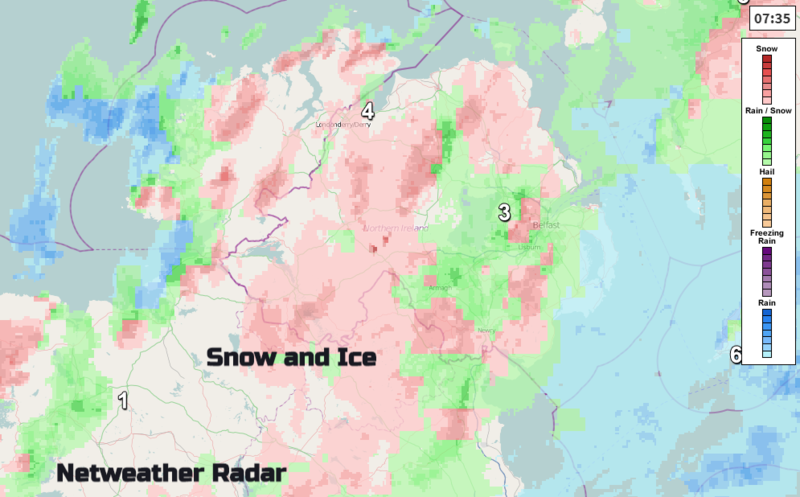 Looks to be worse in Fermanagh which is Just south of here. 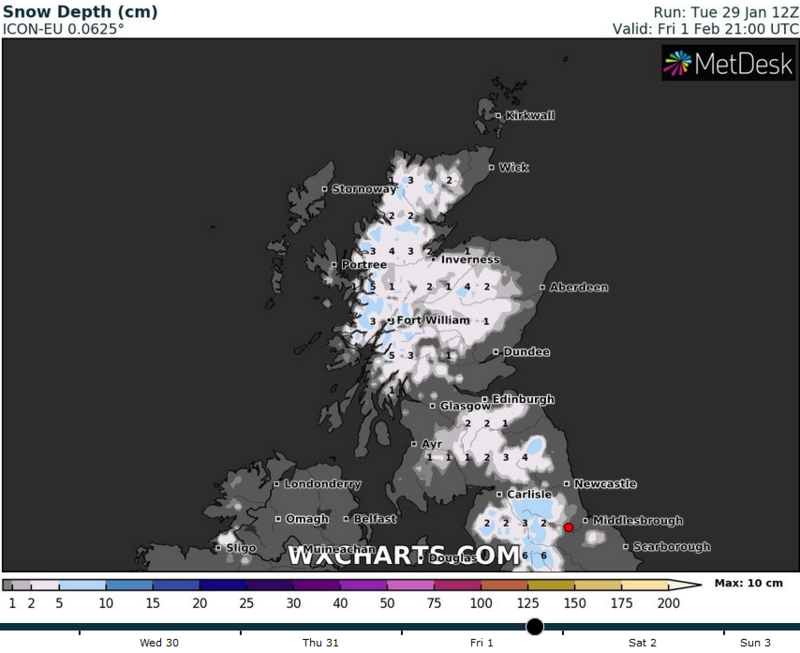 Not too dissimilar to the ECM 06z, though the eCM was a little more orientated West-East than the NW model is. I'm assuming the NMM model that Net weather uses is based of off the GFS model? 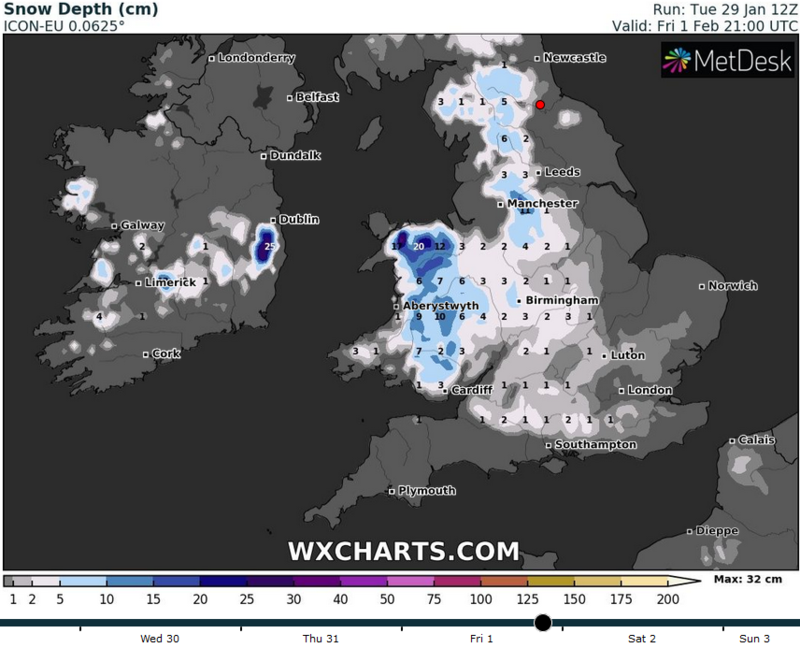 If so that is quite promising given the snow levels already present and how much more progressive the GFS was in general. It is GFS based, yes. 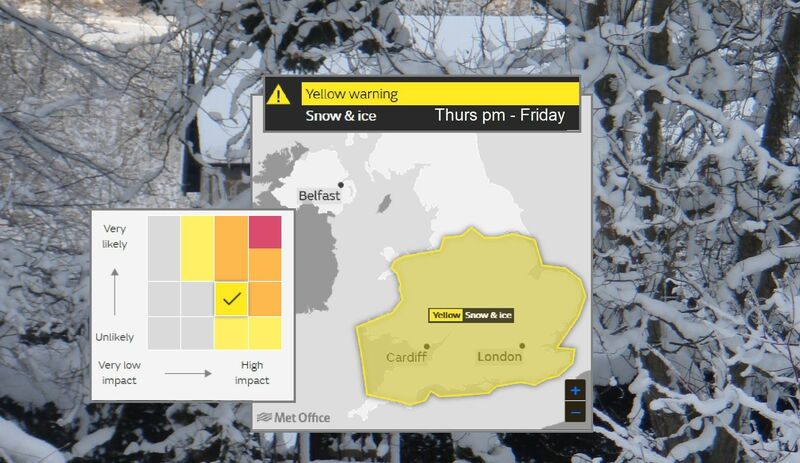 Could someone explain why Anglesey has been left out of the warning area? Is it because it'll be a sleety mix,and therefore not cause disruption? Or is it the fact that the mountains will shelter us from any meaningful precipitation? 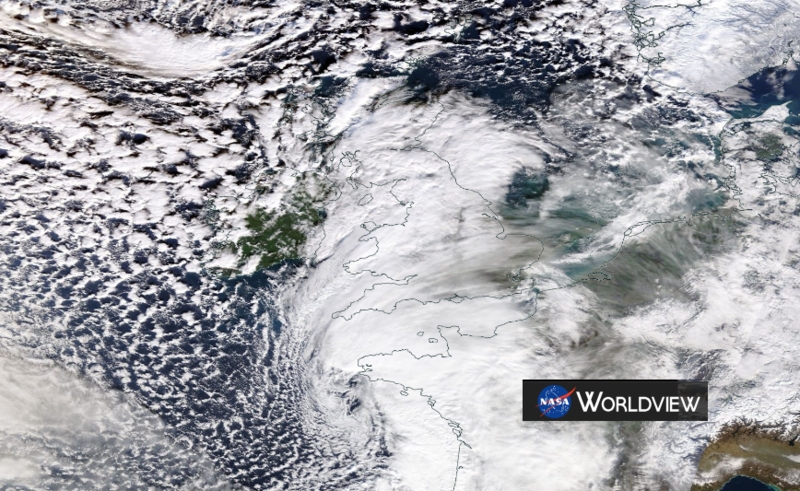 The frontal band just kind of pivots, staying away from NW UK. 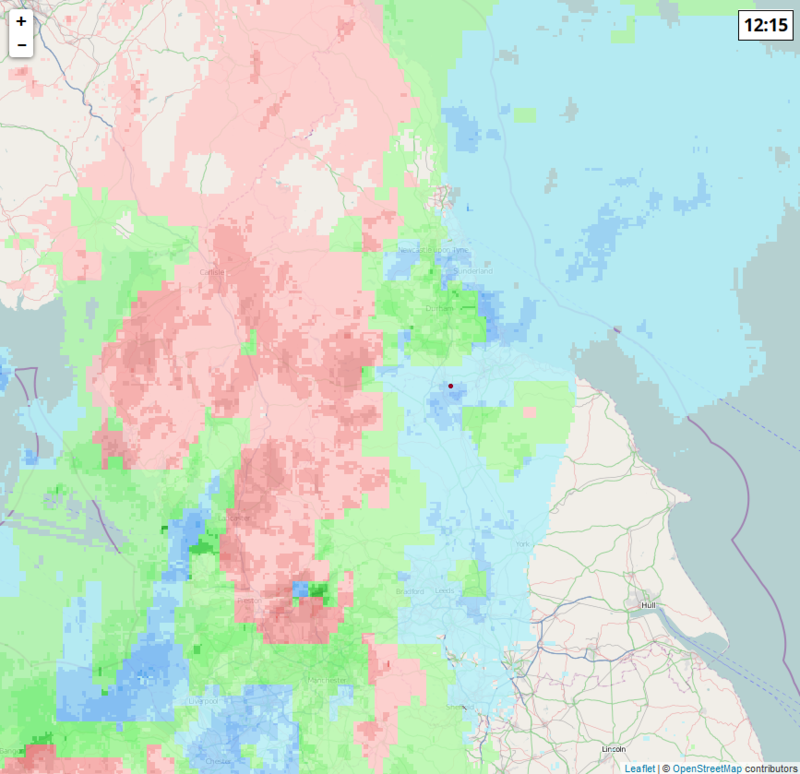 NW Wales is at the edge of where the frontal band might reach, it may not reach into northern England. 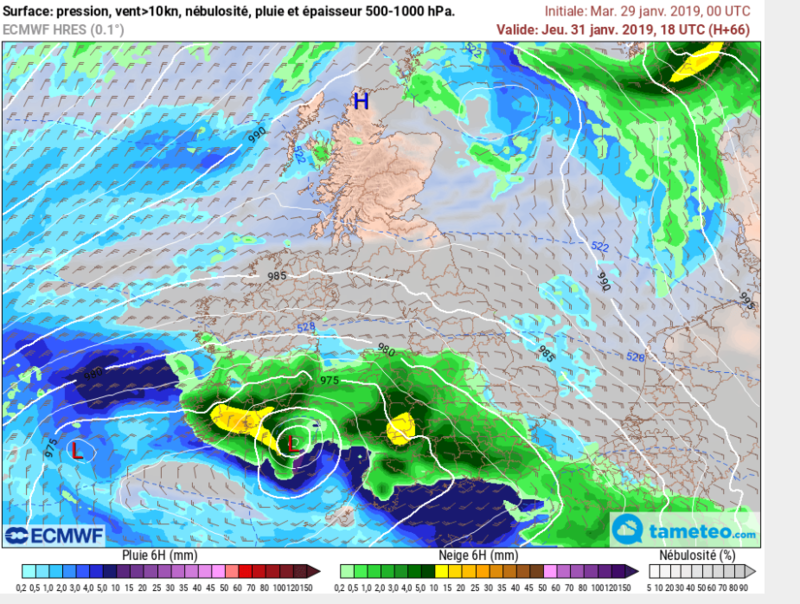 So arrives near Cornwall, heads NE but twists to pull away eastwards. Bit of variation in the models about orientation of front. Possible travel delays on roads stranding some vehicles and passengers. 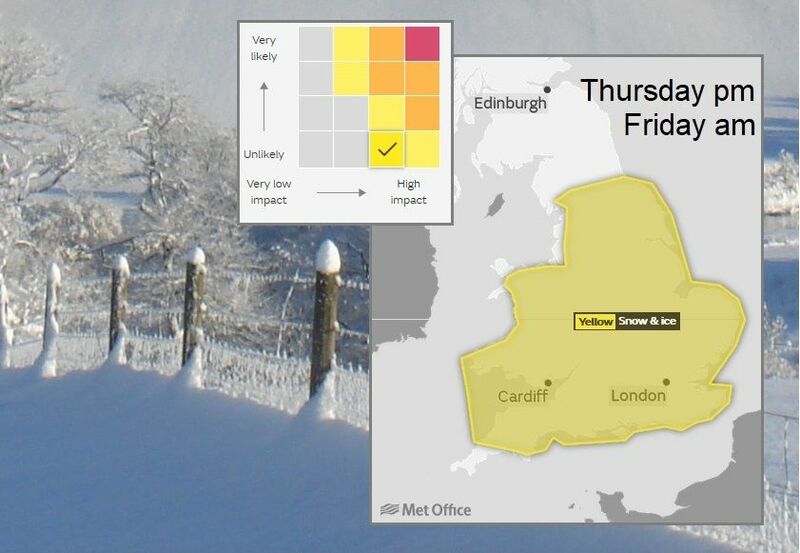 The warning has been updated to increase the likelihood of impacts across England and Wales, change the start and end times, but also reduce the northwards extent of the warning. 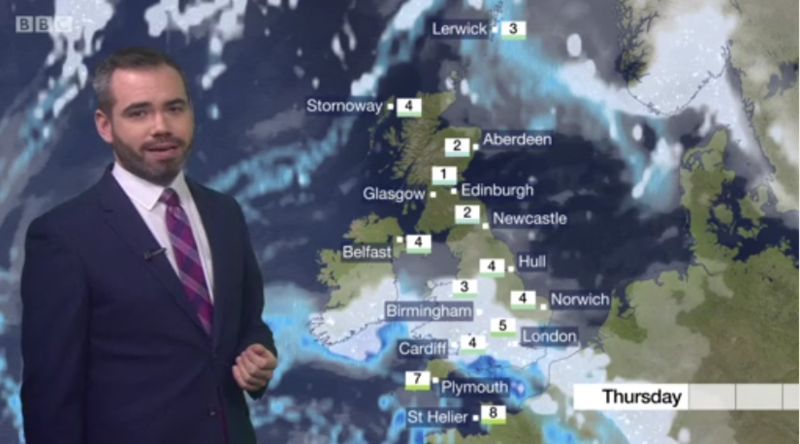 Areas of rain and snow are expected to move into the UK from the southwest from Thursday and through Friday. 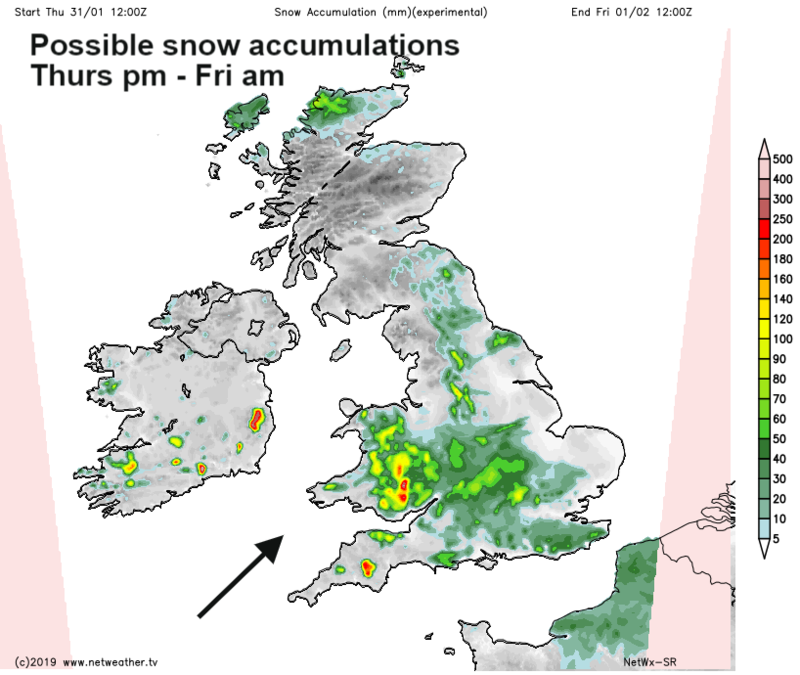 Any single period of rain and snow is not expected to last more than 6 to 9 hours but some snow accumulations are likely with 1-3 cm likely in places within the warning area and the potential for 5-10 cm, perhaps particularly over Wales and southwest England. 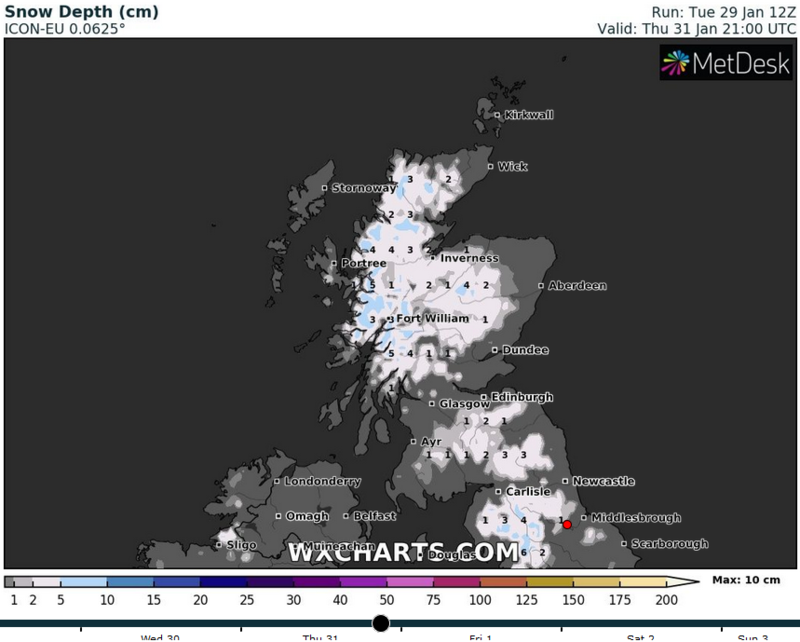 Snow amounts will vary markedly across England and Wales with many places seeing very little accumulating snow. 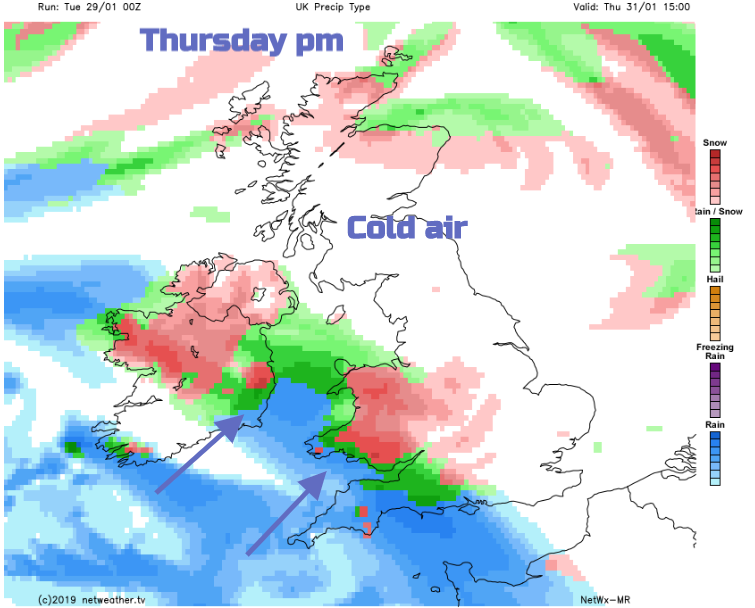 With cold air in place along with areas of rain and snow icy stretches are likely to form. 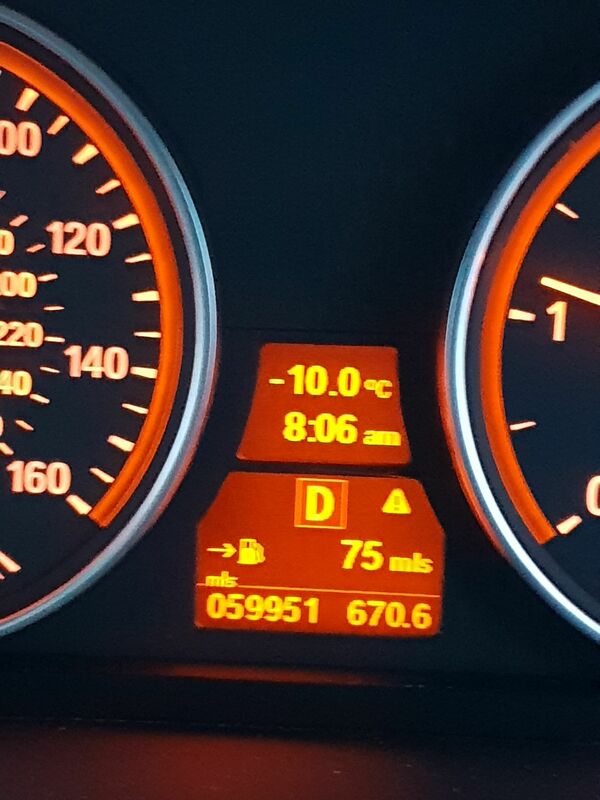 Nothing for North Staffordshire then . 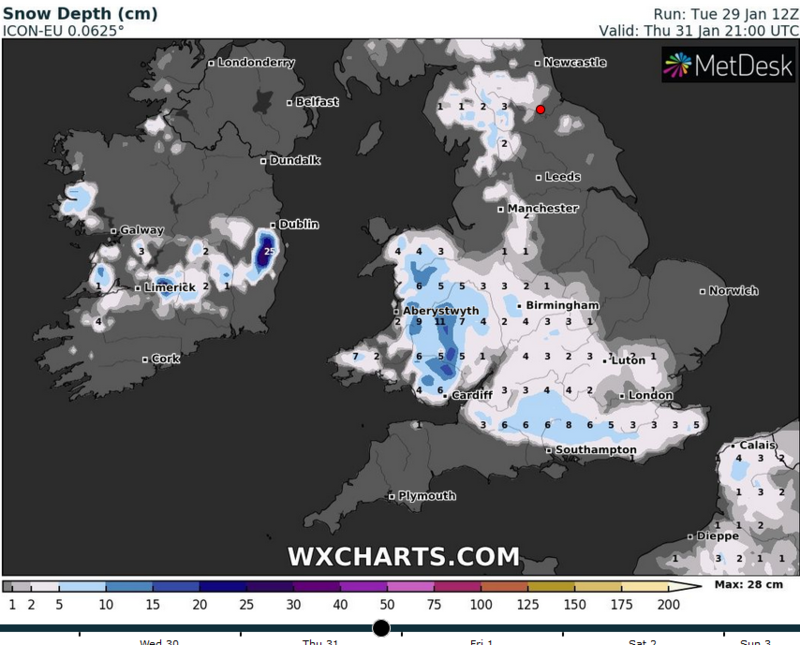 Why do snow fronts always fizzle out so quickly, but rain has no issue getting up here in summer? Upper air originaly showed to be -3 but now for here for this major event its -7c just shows how much its shifted futher south.and that`s GFS. 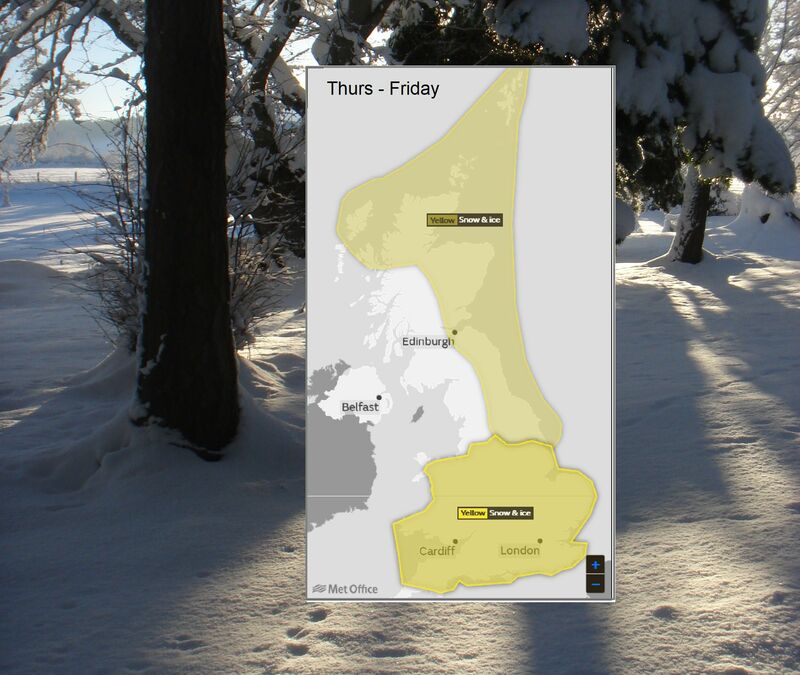 Also Met Office yellow warning for Scotland and NE England Snow and Ice added for tomorrow into Friday.